The plot is simple, Karikaalan (Kaala) who is from Tirunelveli runs to Mumbai at a small age and soon becomes a don who rules Dharavi area. He faces trouble in the form of Harinath Desai who wants the slum people to be within his control. But Kaala fights against Harinath and saves his people and the land from Harinath Desai. The most-anticipated ‘Kaala‘ has been released after the success of ‘Kabali’. Pa.Ranjith who made Rajini to work on out-of-the-box last time failed to attract the masses. But this time, there was a hype that the movie will have massy scenes too. So, has the movie worked out? How good it is? Let’s see in this review. 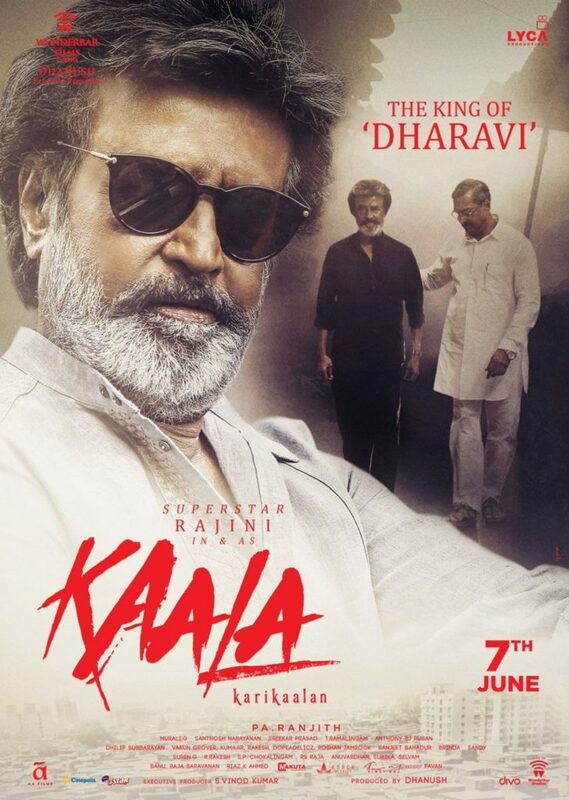 So, the plot is simple, Karikaalan (Kaala) who is from Tirunelveli runs to Mumbai at a small age and soon becomes a don who rules Dharavi area. He faces trouble in the form of Harinath Desai who wants the slum people to be within his control. But Kaala fights against Harinath and saves his people and the land from Harinath Desai. Pa.Ranjith once again confused himself and the script. He couldn’t balance between his own Dalit ideologies and Rajini’s mass elements. If Rajini is speaking about fighting for the right, the next scene, he himself beats a dozen goons single-handed. Dialogues by Maginan portray the low lives and slum people to perfection. But, the originality is totally missing. Nana Patekar has done justice to his role and as Harinath Desai he is menacing. Samuthirakani as Anbu does the same role which we have seen in ‘N’ number of movies. In ‘Nayagan’ Veteran actor Janagaraj did that role. Eswari Rao doesn’t have much to offer. Huma Qureshi lip sync is totally bad. Arul doss, Aravind Akash, Ravi Kale, are just fillers. Music by Santosh Narayanan is just plain loud noise. You will feel as if you have entered some protests and came out. Sreekar Prasad’s editing could’ve been crisp. Murali G cinematography captures the slum areas to perfection with the right angles so that it doesn’t look artificial. The Production values are rich. All said, the movie is not for Rajini fans or common people. Once again, the people of that particular caste can enjoy such ideologies. Let’s hope Thalaivar bounces back with ‘2.O’ very soon. Verdict: ‘Kaala’ is not the Rajini we wanted to cherish! I read your review and found and felt it to be too one-sided and kind of pure conceived negatives while writing this review. However, the box offices are firing and more over you would agree that the timing of the release of the movie and karnataka issues…. Still making this kind of positive start is very good. Imdb… Ratings are very realistic and it’s always improving for this movie.